The original Apple Watch only allowed on-demand measurement of your heart rate (HR). This was triggered manually using a glance or the watch’s Health app. WatchOS 2.0 added a complication that brought this data to the watch face. WatchOS 3.0 and an increasingly open Health API now enables continuous real-time HR monitoring on your wrist. 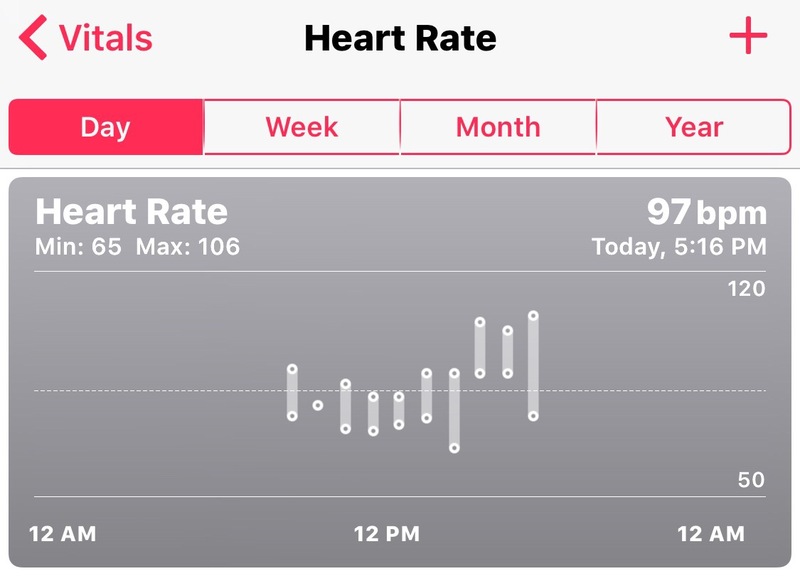 Apple’s own native iPhone app gives only a rudimentary display of random heart rates. Cardiogram is an iPhone app with a strongly integrated Apple Watch app and complication. 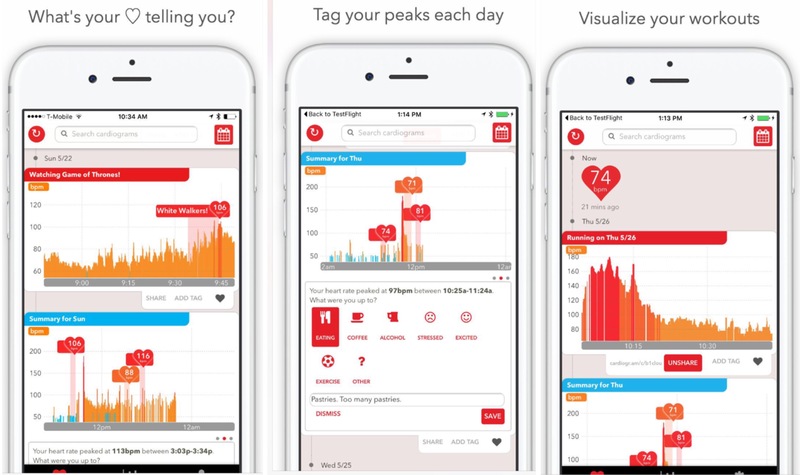 The Cardiogram app automatically collects heart rate data 200 times throughout the day. The data is displayed on iPhone a variety of graphs related to your activity, mood and dietary habits. The app imports additional health info such as calories burned, standing hours, exercise and step count. In combination this gives an excellent picture of your heart’s efficiency. This information can be optionally shared with a trainer or friends via Facebook, email or Twitter. Participants can compare their results to the database of all other Cardiogram users anonymously. Users who opt-in will be able to participate in the University of California’s Health eHeart Study. Apple has often chosen to give third party apps the tools to create robust apps while their own native apps remained rather simplistic (ex. Weather app on iPhone). Cardiogram has taken the lead in collection and interpretation of HR data. It takes only a minimal effort on the user’s part to create a comprehensive picture of your overall cardiac health. It is medically proven that heart rate is directly related to overall cardiovascular fitness. 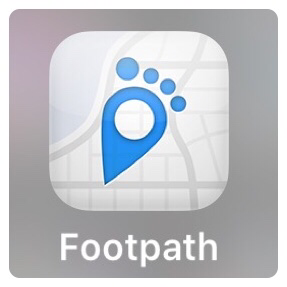 Now it’s easier than ever to measure with the Apple Watch and Cardiogram.